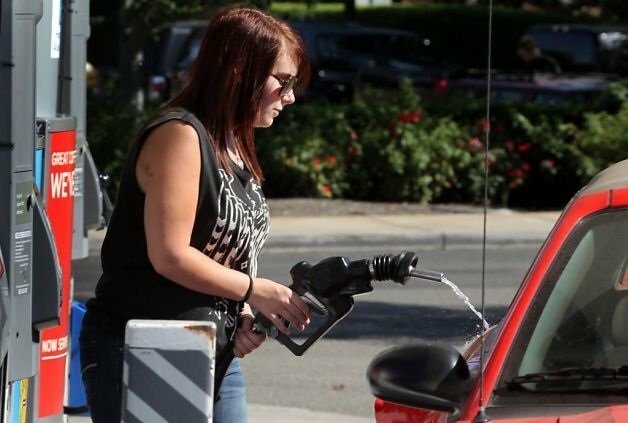 I never understood the reason why Oregonians couldn’t pump their own gas. Why would there be a law stating that a gas station attendant must pump the gas? The more I thought about it, the more sense it started to make: people are idiots. They rarely act in their own self-interest and they usually don’t act rationally. A law was passed through the Oregon legislature by extremist terrorists that went into affect this year. The absolute horror has dawned on counties with a population of less than 40,000. They are no longer banning self-pumping at the gas stations in these counties and people are righteously freaking out. The sky is falling. I’ve pumped my own gas in several states and I’m still kicking, much to the chagrin of leftists everywhere. The law, which took effect on January 1 has caused some citizens to subsequently meltdown. A Medford, Oregon CBS affiliate asked some of the residents there about the new law and the responses were quite telling. “I don’t even know HOW to pump gas and I am 62, native Oregonian…..I say NO THANKS! I don’t want to smell like gasoline!” one woman wrote in a comment. Yikes, I don’t know how some people put their pants on in the morning with attitudes like that. The poll got more than a thousand responses. “It is safer for people, if a station attendant does the service. The only advantage of pumping the gas yourself, would be paying a few cents less a gallon. Getting older, and being disabled, I’d rather have the help!” another person wrote. I think Oregon is full of mentally defective, full grown children all right. Especially the people who sued over a wedding cake. And don’t forget the free abortions for everyone there too. It seems they have gone full blown communism. There is a reason that Portlandia has become a parody of itself. The cause of personal liberty will only grow stronger in 2018. We don’t need a nanny state banning things and telling us what to do. There is no reason to ban self-serving gas stations. You can always call an attendant for help if you are disabled. That is what happens in every other state. There is literally no reason for this law other than to look like you created jobs and to raise the price of gasoline, something Oregon hippies love to do. What do you think about the new law? Should they go all out and allow self-service in all counties?